Most gamers tend to place their focus in buying major gaming accessories including computers, monitors, desks, mouse, keyboard and the likes. However, some of the small things like a gaming mouse pad are usually forgotten. A gaming mousemat may be considered to be very mediocre yet it is not. It is very important in ensuring smooth gaming and also keeping your mouse in the right condition for a very long time. It is necessary to remember that any mouse is very delicate and sensitive. It can easily draw some dust particles to the interior through the under part. It may also ruin its optical part hence reducing its sensitivity to the surface. All this can in one way or the other limit your gaming experience. To ensure that your mouse is in the right operation, at least you should invest in a pad. 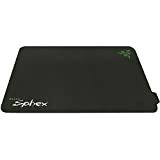 A good pad will not cost you much but it will go a long in making your gaming experience better and enjoyable while making your mouse span longer. You might have had the experience of a gaming mouse falling off the pad. Most gamers can confirm that the moment a mouse loses grip on the pad, then it means that you are compelled to change your gaming momentum. If you were at the peak of your game, then it will be very easy to lose touch and probably lose in the game. It is for this very reason that a large gaming mouse pad should be considered. 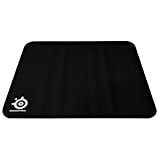 When choosing a gaming mouse pad, your eyes should be attracted more on the larger ones and not the small ones. It will be possible to retain your mouse on a larger pad than a small one. However, you must ensure that the size is not exaggerated. It should be relatively but not overly large. How Is The Style and Shape? 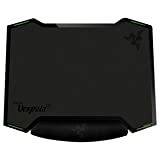 The second thing that you must account for in a gaming mousemat is shape and style. 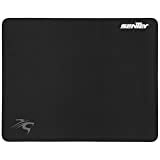 A gaming mousemat may be large but with a very awkward shape. This means that it cannot serve you in the best way while in that condition. 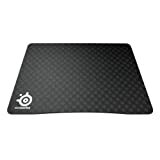 An ideal gaming mousepad should be square or rectangular in shape. That way, it will be much easier to control the mouse on it. Some frame patterns are totally unfavorable and it may be easy for your mouse to run off. 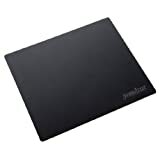 At this juncture, you may also want to consider the color of your gaming mousepad. Though mediocre, color is necessary for those who are theme conscious. 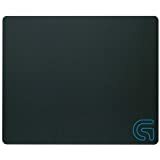 There is absolutely nothing wrong in complementing your gaming desk with a nice mousepad. Now this is yet another very important factor that you must not forget. Gone are the days when ball mice were used for computers. Today, it is the optical mice that are used. One thing you must know about optical mice is that they may be selective with the kind of surfaces they are used on. The texture of one pad may not be friendly with a gaming mouse. The best gaming mouse pad is one that is neither too soft nor too hard. It should be of middle-level gauge. With such a pad, the sensitivity of your gaming mouse will not be compromised. It will not be hard for you to move the mouse from one end to another. 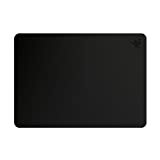 Note that a very soft or very hard gaming mousepad poses challenges in terms of navigation surface. What is the Best Surface for Optical Mouse? 2) Hard mousepads are better for laser sensors. 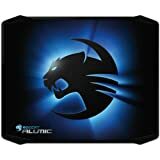 It is not all about choosing a gaming mousepad with regard to its specifications. It is also about going an extra mile in ensuring that you have tried it out. 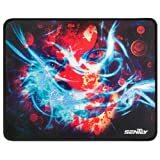 Most computer accessories sellers do not have a problem in allowing their clients try how good a mouse pad is hence you should take advantage. Trying out your chosen mouse pad is a way of confirming that all the above-mentioned qualities are present. Texture, shape and size are very important and that is why you have to ensure their presence by trying out the pad. If you find that the selected pad is not close to your specifications, then you can always change. If your taste is more on black color, then this pad can work superb for you. The deep black color is very attractive hence making it a complement to your gaming desk. The size is very favorable for any gamer. It measures 12.6×10.6×0.1 inches. 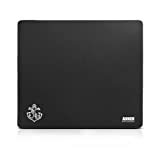 With such size, you will have the freedom to move your mouse back and forth without losing touch on the pad. The rubber base is an assurance that the pad will remain in position all along. The cloth covering makes a friendly surface for your gaming mouse. The very first thing you will notice about this best hard surface gaming mousemat is the gel wrist filling. 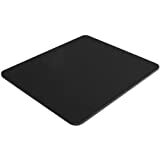 It is made with such to ensure that you are comfortable when operating your mouse on the pad. The part also comes as an assurance that your wrist will have ample flexibility all along. Your wrist will always remain in a neutral position. The smooth fabric on the upper part of the pad is an assurance of proper grip for your mouse. It is possible for your mouse to maneuver on the pad flawlessly. Important to note, the pad is large enough for ample coverage. 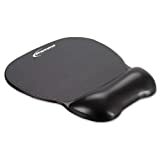 It is made with an eco-friendly rubber base to facilitate easy movement of mouse and not the pad itself. 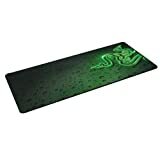 The material has the capacity to grip on your gaming desk without making unnecessary movements. The pad is large enough since it measures 15.3×12.3 inches. You are assured of maintaining your position during gaming. The medium friction fabric used on the upper surface prevents your mouse from slipping off. 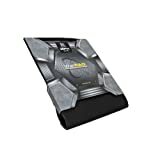 Above all, this gaming mousepad is durable and very reliable.